Every sporting moment is a moment of grace. Our God is with us through it all, challenging us to be our best, supporting us through suffering and loss, and calling us to respond to the call of Jesus to live lives of integrity, sacrifice, forgiveness, and love. Sometimes our sporting lives can seem full of overscheduling, selfishness, and pressures that make our participation more burdensome than freeing and life-giving. This is true for parents, coaches, and players alike. Thankfully, Coach God has a game plan for us! 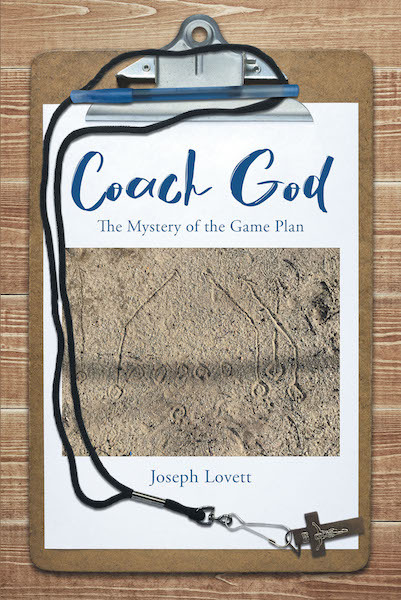 Coach God shares the true stories of athletes, parents, and coaches who have demonstrated humility, courage, and openness to enter into the mystery of God's game plan for them. The inspirational stories of Peter Frates, Pat Connaughton, Mark Bavaro, and other famous and not-so-famous athletes witness to the presence of God in their lives. These stories take the reader on a journey of faith in God's Spirit and remind us that we are always in the game and God is always with us. Sometimes God sends assistant coaches—namely our parents, coaches, or teammates—to deliver a message of hope or encouragement. One thing is for certain, as our ultimate coach, Coach God believes that we will be that good until we are that good. We just need to take a knee, look, listen, and believe!